“Design must seduce, shape, and, perhaps more importantly, evoke an emotional response.” -- April Greiman This quote by April Greiman, a graphic design pioneer who was one of the first in the field to use technology as a digital communication tool and a designer whom I was especially inspired by early on in my career, provides a nice, albeit somewhat ironic, connection between last week’s comments and reflections and the importance of placemaking. There are visual symbols that evoke strong negative associations just as there are symbols that evoke strong positive associations. But the case I’ve been attempting to make over the past few weeks is that the design of spaces and places can also make strong statements that evoke emotional responses, whether positive or negative. I’ve been asking questions about Goshen’s “narrative” from an aesthetic point of view as a way to help articulate what makes Goshen distinct. In a conversation specifically about public art and placemaking, however, the point is that art and design can be both beautiful and practical. Greiman’s quote, by extension, is about engaging, interacting with or appreciating what we see, and allowing ourselves to be transformed as a result. I’m also mindful of the current budget-cutting measures that have been proposed by City Council members, potentially hampering Goshen’s ability to provide the kind of quality-of-life experience that many of us have come to appreciate. It is during the difficult economic times that we show our true colors in terms of what we value. By making cuts to the Community Relations Council, Downtown Goshen Inc. and the Parks Department, for example, we are also eliminating community outreach efforts that involve art and design in some form or another. Community connectivity and sense of place should not be partisan political issues. 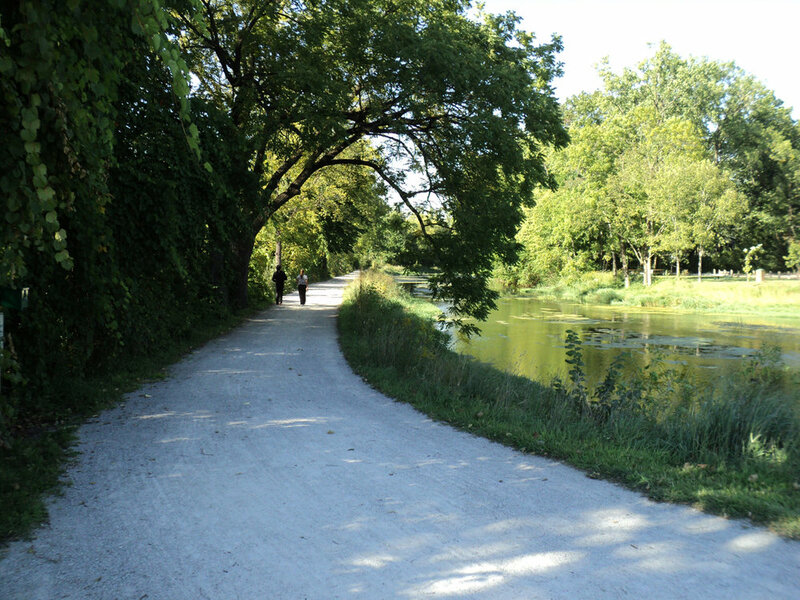 Unfortunately, when it comes to the proverbial bottom line, the enjoyment (or stress relief) you might get from a long, exhilarating run along the millrace or photographic “sweet light” peeking through the trees can’t be measured by objective standards and is, therefore, perceived as inconsequential. Change is inevitable, of course. We all know this. Yet art and design have the ability to simultaneously keep us anchored and provide the kind of flexibility that responds to the cultural, demographic and economic shifts in our midst, even on a local level. If Goshen is to continue to be a thriving and vibrant community, we must commit ourselves to supporting initiatives and development projects that contribute to defining Goshen as Goshen. I’m talking about art and design as a way to keep us connected. I’m talking about art and design that serves as a public statement affirming that each one of us is welcome and each one of us belongs.